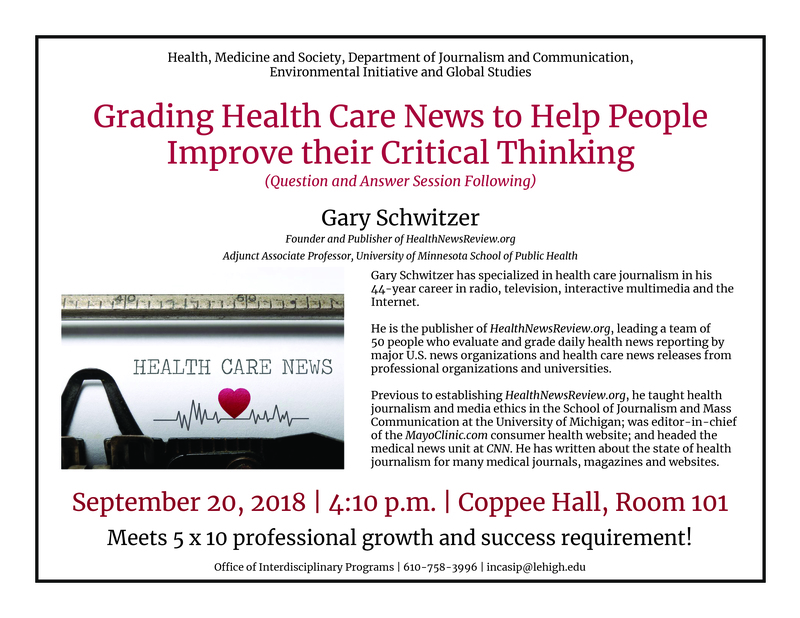 Gary Schwitzer has specialized in health care journalism in his 44-year career in radio, television, interactive multimedia and the Internet. He is the publisher of HealthNewsReview.org, leading a team of 50 people who evaluate and grade daily health news reporting by major U.S. news organizations and health care news releases from professional organizations and universities. Previous to establishing HealthNewsReview.org, he taught health journalism and media ethics in the School of Journalism and Mass Communication at the University of Michigan; was editor-in-chief of the MayoClinic.com consumer health website; and headed the medical news unit at CNN. He has written about the state of health journalism for many medical journals, magazines and websites.